Pain is a great defence mechanism. It reminds us of lessons from past mistakes, alters our behaviours in the hope that we avoid getting hurt in the future. The same can be said about the financial markets. We wouldn’t expect to see investors pouring their hard-earned savings into Madoff-like investment funds in search of yield anytime soon. Nor, we will see investors rushing to buy complex real estate CDOs with “AAA” guaranteed by the big three. However, for the Millennials who observed their parents’ life savings evaporated during the GFC (not Geelong Football Club) the lessons they learnt are not necessarily the right ones. They learnt that the stock market is bad for their investment. And that the surest way to accumulate enough money for retirement is to leave in their money in banks or treasury bonds, earning interests at the rate less than inflation rate. In essence, they are losing their money in real term. If instead, they invested in an index fund that tracks S&P 500 index, they would have generate a return of 30 percent in 2013 and 14 percent in 2014. On average, they would have generated an annualised return of 9.5 percent. Over a working lifetime (40 years from 25 to 65) $1 invested would have turned into $37.7 by the time you retire. In part, this has to do with a cognitive bias called recency effect bias. It is a tendency to think that recent trend and pattern will continue in the future (indefinitely) That Australian house prices will continue to rise. That Eurozone will stuck in an eternal cycle of recessions. That China GDP will continue to grow at more than 7 percent annually (That is equivalent to doubling their economy every decade, figure that) Or that S&P 500 index will never recover from the 2009 slump. Our tendency to extrapolate recent past in the future leaves us exposed to hidden risks and undermines our future returns. So what lesson should they have instead learnt? Prepare for the worst, hope the best, count on being surprised. In preparing for the worst, Bob Farrell has written ten rules that all investors should know. In relation to recency effect bias, the rule #9 might be useful: when all the experts and forecasts agree, something else is going to happen. How many experts foresaw at the start of 2014 that the oil price will drop by 40 percent by the end of the year? I, for one, didn’t (not that I am an expert) Prior to a major collapse, all experts tend to agree. Before the Great Recession, all you can hear was: house price will only go up. Prior to the Dot-com burst, all you can hear was: tech stocks are sure bets. The cause of the next crisis won’t be the one that caused the last. Looking at previous crises over the last two decades, one would observe this very fact. The 1997 Asian Financial Crisis was caused by economic bubble fueled by hot money. It was triggered by the rise of the US interest rate. This eventually led to the default of Russia in 1998 and the collapse of Long-Term Capital Management. The 2001 recession was triggered by the burst of Dot-com bubble. 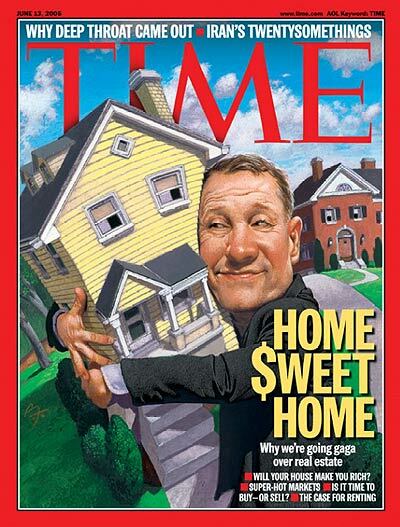 Seven years later, the Great Recession was caused by subprime mortgage crisis. The next crisis will be the one that we haven’t foreseen. Or perhaps, it is already underway. In any case, enjoy the surprise! Great post – and very true. I’m often intrigued at how far we will go to eliminate the risks that we’ve thought of, often actually increasing the risks that we haven’t thought of. Often we’d be much better to work on improving our general resilience, rather than getting hung up about specific risk scenarios. I’ve come up with a few explanations. Firstly, when it comes to software development, I’ve learned to spend time building tests for the risks I do know about. I’d rather have things go wrong with things I haven’t thought of, than things go wrong with both the things I hadn’t thought of *and* the things I had thought of. Secondly, our legal system penalises us for not addressing things that a reasonable person would have covered, but not for things that we didn’t think of, giving us a bias towards addressing these. Thirdly, psychologically, we would feel stupider if something went wrong that we could have addressed but didn’t – the whole “once bitten twice shy” feeling. I don’t think I have said clearly in the post, but to me, the key reason is that we overcompensate for the recent mistakes because they are fresh in our minds. That means we tend to address the risks that we can think of (availability bias) Because of tendency for this reactionary behaviour, the next real risk will be a real surprise. I am not suggesting that we do nothing to address past mistakes. My concern is overemphasis on them. But then again, my general opinion is that we can’t legislate against stupidity.